It seems that Ubisoft isn’t going to stop - the company wants to win new markets. Despite the fact that Ubisoft is known for its high-quality big action-adventures (Assassin's Creed and Tom Clancy’s Splinter Cell series, for example), it has proved itself to be a good creator of the small genres’ games. Thus, recently it has become known that Ubisoft in collaboration with Cryptozoic Entertainment (the creator of The Walking Dead board game) is going to develop a new project based on the Assassin's Creed series. 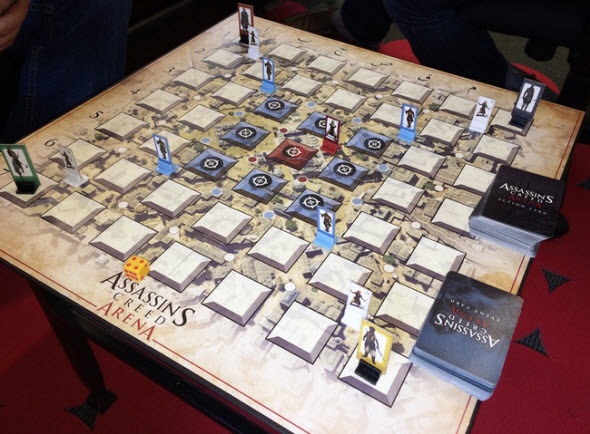 It is not a full-fledged action-adventure as Assassin's Creed 4, for example, but the strategic board game, entitled Assassin's Creed: Arena. 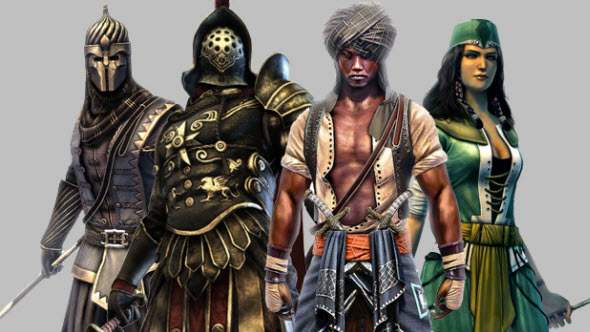 According to Ubisoft’s employees, the project is based on the events of the fourth instalment in the series - Assassin's Creed: Revelations - and allows you to try youself as one of the four Templars: Shahkulu (the Turkmen Renegade), Odai Dungas (the ex-cousin of the Sultan), Oksana Razin (the Cossack, who became a member of the Knights Templar) and Anakletos (the Roman Templar). The action in Assassin's Creed: Arena game takes place in Constantinople, and your main goals are to destroy the enemy and avoid the guards. 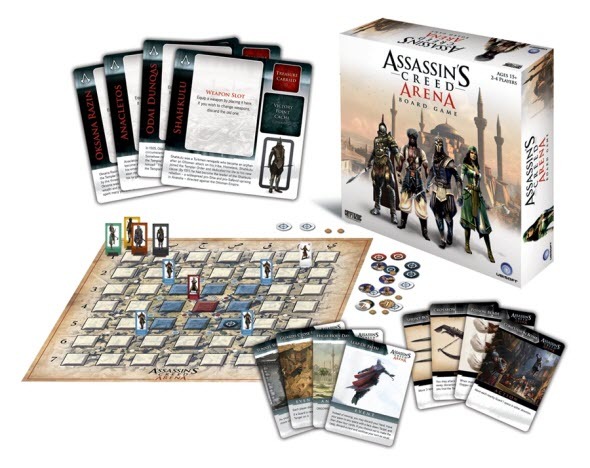 Assassin's Creed: Arena game will be released very soon - on the 26th of February, and it can be already pre-ordered at the official Cryptozoic Entertainment’s shop for $50.00. In addition, Ubisoft has announced the collaboration with another company - Mega Bloks, the result of which should be a quite peculiar line of Assassin’s Creed construction sets. Although Ubisoft’s employees haven’t shown any image (how the figures of this constructor should look like), but they have reported that it will be released already this fall.